Current and former employees are speak out about the most challenging aspects of their job. In anonymous interviews with Business Insider, Starbucks baristas revealed what working at the constantly busy and extremely profitable café is actually like for the hardworking folks who must sling coffee – and unicorn Frappuccinos – to demanding customers everyday. They don’t paint a very flattering picture. For one thing, they aren’t paid enough. “It's not a company; it's a cult that pays $9 per hour,” one employee who worked there for a year before quitting revealed. Another employee noted that while the company does “offer free college” through a “college-achievement program,” employees would rather take a higher pay grade. “My team wants to be able to afford rent and groceries, the employee said. 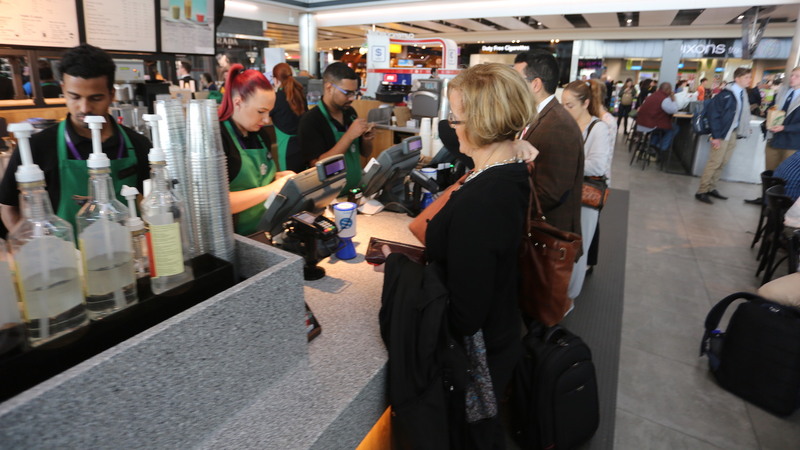 On top of low wages, the baristas interviewed say that manning the café can be an exhausting task at understaffed locations – a scenario many people have probably witnessed on a weekday morning when it seems like swarms of people are trying to pick up their pick-me-up before heading to the office. “Nothing gets cleaned. Nothing gets stocked. We're getting screamed at by customers for not being fast enough, so we try to go fast, and we mess up the money, or we mess up the drinks, and then we get yelled at for messing up the money and messing up the drinks. It's all incredibly tiresome,” one employee explained, later lamenting that even just one additional employee in the store to help out would be appreciated. Another barista said that trying to meet customers' needs quickly and efficiently coupled with corporate's seemingly opposing directive to interact and chit chat with regulars was also a point of stress. Employees say that part of this overwhelming work environment has to do with the fact that in many locations, there are sometimes mobile orders or a drive-through in addition to the in-store line, and in some cases, all three. But the company doesn’t seem to have accounted for all those extra orders in their hiring practices. “Most stores are understaffed, and I believe that's the way corporate wants it. Store managers would rather be shorthanded rather than pay a penny of overtime,” another employee griped. Business Insider reports that Starbucks hasn’t seen any need to change how many people they’re hiring, and emphasizes that they do offer employees benefits on top of the tuition program, like a 401(k) program, and the ability to buy Starbucks stock. They also say that they’re working on the ways to make mobile ordering more efficient. While Starbucks works on how to solve their employees’ complaints, remember to be nice to your barista. They’re clearly working hard to bring you America’s most popular coffee.